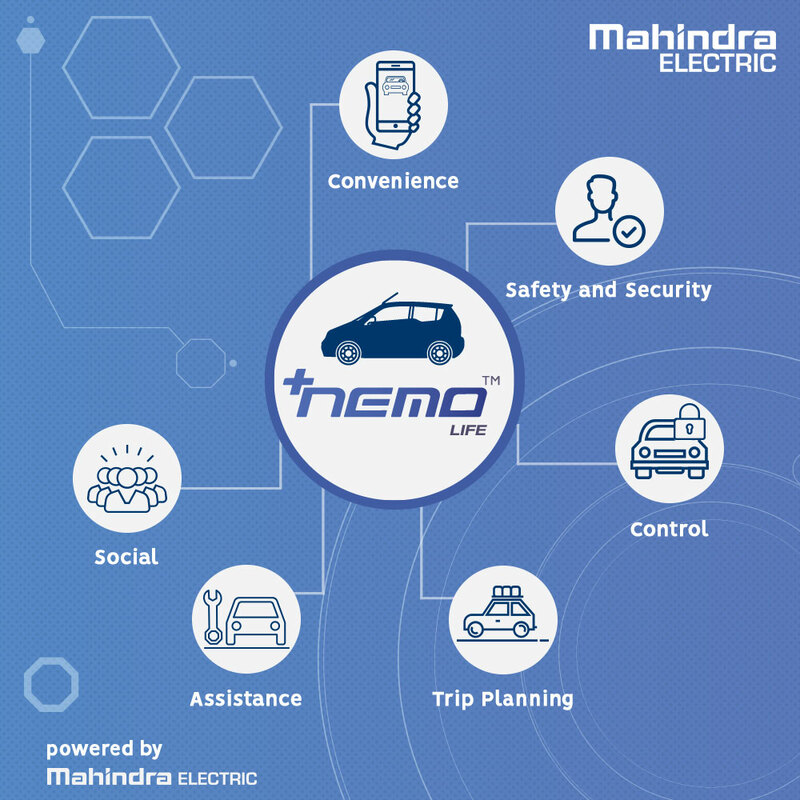 Mahindra Electric, a leader in the development and manufacturing of electric vehicles (EV) & technologies and a part of the USD 20.7 billion Mahindra Group, today launched the all new ‘Next-Generation Mobility app’ – NEMO Life. This announcement coincides with the completion of over 100 million electric kilometres by Mahindra EVs on Indian roads. Mahindra Electric has studied the usage pattern of EVs in India for 100 million ekm and has conceptualised the perfect Connected Mobility solution that will allow personal users to take control of their mobility, including the EV ecosystem, with the touch of a finger. Incorporating valuable feedback from its customers, Mahindra Electric, undertook the study of EV usage patterns and various parameters including, but not limited to, the charging cycle, real-time driving data, vehicle controls, etc. The company has used its learnings to develop many unique first-in-segment features on the NEMO Life Mobile App, with the aim of making mobility – Clean, Connected and Convenient. The 100 million plus eKilometers done by Mahindra’s electric vehicles has helped save over 11,000 metric tons of CO2 emissions in India. This translates into the need to plant over 5 lakh trees to absorb the equivalent levels of emission. This milestone marks a shift toward a greener future, as India readies itself to embrace electric mobility. I would like to thank all our customers, dealers and all stakeholders for their continuous support that has helped us to become India’s first automaker to complete over 100 million electric Kilometres. To put this number into perspective, one can imagine going around the earth 2,500 times. The learnings from this milestone have gone into the creation of the NEMO Life app for our personal car users, for them to experience the very best of connected electric mobility. It took 4 years for our electric cars to complete the first 50 million eKms and now the second 50 million eKms milestone is achieved in less than two years. This indicates that the pace of adoption of EVs is increasing in India and once again affirms Mahindra’s role in moving the world towards electric mobility. With over 40* new features NEMO Life is set to usher in a modern era of Clean, Connected and Convenient mobility. NEMO Life ‘Next-Generation Mobility’ is aimed at delivering an advanced gamut of connected mobility experiences. It is based on NEMO, a cloud based platform that enables a new generation of shared and connected services to enhance urban electric mobility. Under the NEMO brand, Mahindra Electric already has NEMO Driver and NEMO Commuter mobile apps along with NEMO Integrated Mobility Centre for our fleet customers. NEMO Life will now help personal electric car users to overcome some of the major barriers to adoption of EVs such as range anxiety, battery performance, and multiple user management, among others. It provides deep insights into the vehicle performance and delivers essential vehicle control to the users’. The new mobile app sets a benchmark in the connected mobility space and is available to download on both the iOS and Android platforms.